This is the fifth installment of our blog series exploring the articles in the special issue on “Fake News” from the Journal of American Folklore (vol. 131, no. 522). The special issue on “Fake News” from the Journal of American Folklore (vol. 131, no. 522) is available in print and on JSTOR now. I got interested in fake news back in the olden days before social media when people shared items of interest with their email buddies. Some of these items of interest were verbal jokes like those one might tell during a face-to-face conversation or a telephone chat. But some—cartoons and digitally altered photos—were meant to be seen. And some—phony press releases and phony news stories—were meant to be read. As a folklorist and a journalism scholar, I was intrigued by the way a well-crafted fake news story could be funny in two ways: It spoofed both a person or issue in the news and the solemn rhetorical style of the news itself. Though some of these stories were so well done that they fooled folks into thinking the incidents in question really happened, most were understood to be satirical in intent. As such, they are quite different from two other kinds of stories that have been labeled fake news of late: the false story that is meant to fool people for either political or financial gain and the true story whose accuracy is called into question by those who fear their reputations may be harmed by it. 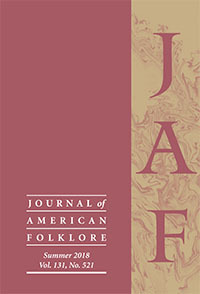 In my contribution to this special issue of the Journal of American Folklore, I try to distinguish propagandistic fake news from satirical fake news and to distinguish both kinds of fake news from fact-checked reporting, which isn’t fake news at all, no matter how much the subjects of such legitimate journalism might want the public to believe otherwise.